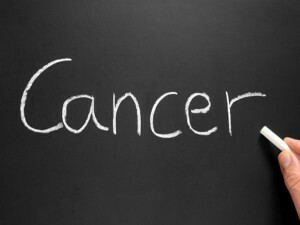 Cancer Treatment from Best Hospitals in India | Top Doctors. It doesn’t take much more than a casual glance around you to know that overweight and obesity rates have risen during the past half century, specifically skyrocketing over the past five to ten years. An overabundance of highly processed, fructose-infused convenience foods and meals eaten at fast food restaurants have been significant contributors to the rapidly growing problem . In addition, having too much belly fat (that is, a larger waistline), regardless of body weight, is linked with an increased risk of colon and rectal cancer, and is probably linked to a higher risk of cancers of the pancreas, endometrium, and breast cancer .The timing of weight gain might also affect cancer risk. Being overweight during childhood and young adulthood might be more of a risk factor than gaining weight later in life for some cancers. For example, some research suggests that women who are overweight as teenagers (but not those who gain weight as adults) may be at higher risk for developing ovarian cancer before menopause. 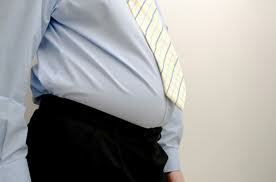 The scientists also found that the obese mice had more adipose stromal cells (ASC’s) that enter the circulation. When the stromal cells entered forming tumors, many of them turned into fat cells while others became part of the blood vessel network feeding the tumor growth. They concluded that adipose stromal cells contributed to angiogenesis, an essential component in tumor development that feeds nutrients and oxygen to fuel cancerous growth. In the past, researchers have associated overweight and obesity with increased risk for prostate, breast, ovarian, colorectal and renal cancers. This important study now explains the specific mechanism to explain how excess body fat is an independent risk factor in cancer development and progression.